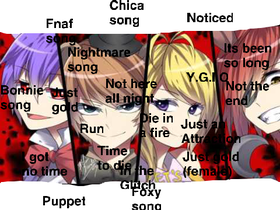 Fnaf songs V1. Please check this out when you have the chance. Also, be sure to hit that follow button if you like my other projects. Tell me what other FNaF songs you will Like me to add in V2.